While the N900 has been avalaible for several month, I would like to review it and share my first month findings. First of all, I'm a geek and having a Linux phone has always been part of my vision for a clear sky future. Of course, as the CEO of a Linux company it makes a lot of sense. Convergence is not simply a network issue but a platform issue as well. But I will not (at least in this blog entry) detail and share the geeky functions. 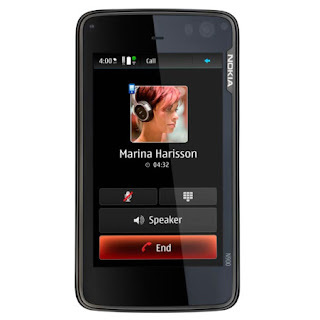 You'll find numerous reviews about the N900 on the Web with all the gory details like speed, CPU, RAM, etc. The point I want to make is that this is geeky piece of technology has been designed for non geeks ! I was expecting some instability, command line, reboot and some other flashing and hackish magic (disclaimer : I _had_ to flash my N900 but ... I did really bad things and have been warned several time by the system before ... I obtain root privileges and finally broke the N900). None of this is mandatory and the N900 is great as is. My life has changed since the N900 because it integrates in a transparent/user friendly way all the communication tools I have to use on a daily basis on my computer at the professional and personal level. Now, my laptop is in my pocket: I can do everything with my N900 ! An application called Hermes connect to all the social network/accounts you have configured and help you grab the information (birthdate, profile picture, etc.) and then you can very quickly merge all those separates identities into one of your existing (or not!) contacts (of course, as a cell phone, it manages as well SMS, landlines, cell phones, etc. ;-). So now, whenever I have access to a Wifi network (yes, the N900 can use Wifi) or if I decide to contribute to the poor telco companies using 3G (the N900 is GSM compliant and can function on every? GSM network) I have access to a unified communication device. All in all, I had more and more contact with people (in no particular order friends, prospect, customers, family, etc.) on very various timezones because I can carry with me the N900. Who should buy it and who should not ? 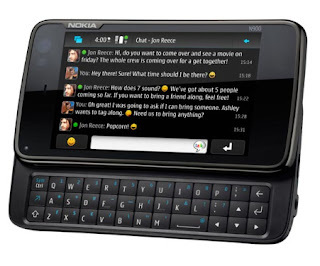 you need a communication device with a keyboard : the N900 keyboard is very usable and I have been using it to review Office documents, write numerous emails, tweets, SMS, etc. kimberly August 2, 2010 at 11:30 p.m.